Chemical peeling is one of the most time tested procedures in cosmetic facial surgery. It was practiced by the Egyptians using fermented fruit acids and has been safely and effectively utilized since then. 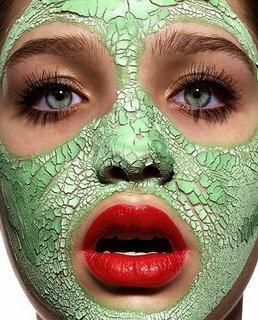 The basis of chemical peeling is to intentionally damage the outer layers of the skin. This is done by coating the skin with an acid solution. Many types of acid solutions are available and which one is used is determined by the preference and skill level of the cosmetic surgeon. Not all Chemical peels are the same! As most people are aware, some chemical peels are very light and are popular at the beauty shop, spa or even at home. These peels are very light and also do very little by themselves. To see serious results, one must undergo a more comprehensive type of chemical peel. Since a stronger acid solution must be used, the procedure is too painful to be done without anesthesia and comprehensive chemical peels are generally done with some type of IV sedation. One of “Dr. Niamtu’s Rules of Cosmetic Surgery” is that “if a skin resurfacing procedure (laser or peel) can be performed on an awake patient, the results will be minimal.” With few exceptions, this means that in order to see significant results, the skin needs to be damaged to a specific level. It is very painful to achieve this level of skin damage and most patients won’t tolerate that level of discomfort. For this reason these types of peels and laser treatments must be done under sedation otherwise the needed level of cellular damage cannot be achieved in most patients. In other words, to see great results, you need a deeper peel. A deeper peel is painful and anesthesia is required. Don’t get me wrong, some patients can sit there and “white knuckle the chair” with tears in their eyes and tolerate the procedure, but there is no need to go through that punishment with safe, modern sedation techniques. When considering a chemical peel, it requires a serious look at the patient’s skin care program (or lack thereof). A surgeon should never “just peel a patient”. All patients that are going to have a chemical peel must first pre condition their skin by using prescription skin care products. Retin A and a bleaching agent like hydroquinone are the bare minimum treatment that must be done several weeks before a chemical peel. By using these creams, the skin is conditioned to allow the acid to better penetrate and the healing is also easier. In addition, the post peel complications are also reduced by pre conditioning the skin a month before the peel. Getting your face peeled is like getting your car painted and just as you must take care of the new car finish, the patient must also care for their new skin. In reality, all patients should be on a “lifetime skin care” program and beginning this before the peel is a great place to start. Then, after the peel, these creams are continued as every day skin care, hopefully forever. There is scientific basis that these products, in prescription strength, can reverse many aging changes as well as reduce future problems. This type of skin care is really simple and cost effective and takes about as long as brushing ones teeth, so there is really no excuse not to embrace this concept. The darker the skin type, the more potential problems there are with skin resurfacing. Pigmented skin can be unpredictable in terms of peeling and healing. Skin of color can be much more reactive to post peel pigmentation changes and by using the prescription creams, many of these problems can be reduced or eliminated. If a patient does not have enough discipline to use prescription skin care products before and after their peel then they should not have a peel as they are missing the ability to make a true difference in their final result. There are many types and levels of chemical peels varying from ultra light to deep peels. The lighter the peel, the less the recovery and result. Again, the result from a chemical peel is directly related to the depth of the skin damage. Lighter peels are tolerable without anesthesia because the acid is weaker and the damage is less. This means that the patient will not see very much change in pigment and wrinkles. If a patient has many light peels over a period of time, they may see a change but a patient who expects much from a light peel will be disappointed. The medium depth peels are the most popular because the deliver a bigger “bang for the buck”. These peels generally require anesthesia (at least in my practice as I disdain suffering) and the recovery is about one week. Patients undergoing a medium depth peel can expect really noticeable and lasting improvement in their pigment related problems. Most age spots, liver spots and sun spots (all slang for the medical term “lentigos”) and freckles are generally improved or eliminated with medium depth peeling. In addition, fine lines and wrinkles (like the type on the lower eyelids) are generally improved. The medium depth peel will also improve skin tightness and smoothness and in some cases reduce pore size. This type of peel is like stripping coats of wallpaper or paint or power washing your deck. It literally gets rid of the aging changes of the outer skin layers. Finally, the entire chemical peel process causes the deeper skin layers to produce new collagen which is the building block of youthful skin firmness and tightness. Even with medium depth peels, the skin damage may not be totally corrected and the patient may require additional peels. I have some patients that do a medium depth peel every 3-4 years and I have some patients that do them twice a year. It all depends upon the amount of skin damage and the patient’s desired result. There are also very aggressive chemical peels know as “deep chemical peel”. This type of peeling is more dangerous and has many more complications and has largely fallen out of use by most practitioners, largely due to the availability of laser technology. The remainder of this blog will deal with medium depth chemical peeling. Since the skin is damaged to a deeper level with the medium depth peel, several medications are used before and during the recovery. An antiviral drug is used to prevent herpes outbreak and an antibiotic is used to prevent a bacterial infection of the healing skin. These are frequently started 1-2 days before the peel and taken for about a week. In my office, the patient arrives the morning of the peel with nothing to eat or drink eight hours before surgery. They are photographed with digital photography and ultraviolet photography (which shows the pigment better) and an IV is started with sedation administered. The face is then cleansed with acetone to remove the skin oils and the peeling acid solution is applied. The patient does not feel the discomfort due to the sedation but if they were awake, it would be intolerable. Several coats of the acid are applied depending upon the patient’s skin type, color and degree of damage. As the peeling acid is applied the skin takes on a white appearance (referred to as a frost) which indicates the degree of damage to the outer skin layers. The procedure is stopped when the appropriate level of penetration is achieved. At this point, the face is coated with Vaseline and the anesthesia discontinued. When the patient awakes, they will feel the sensation of asunburn, but it is not an intolerable feeling. For most patients, the first few days after the peel are very uneventful. Their skin will become somewhat darker looking and there is tightness but not usually any significant discomfort. Once in a while, some patients will experience significant swelling, especially around the eyes and cheeks, but this is an exception instead of a rule. Post peel care involves washing the face with a gentle cleanser such as Cetaphil and patting the face dry with a towel. Vaseline is applied continually, around the clock, until the peeling is finished. At this point a gentle moisturizer is then applied. It is important to protect the new skin with sun block and to continue gentle washing and application of a neutral moisturizer. Several weeks after the peel it is important to get back on the prescription creams to maintain the new result and reduce future damage. Most patients are more serious about skin care after the peel as they desire to “protect their investment”.